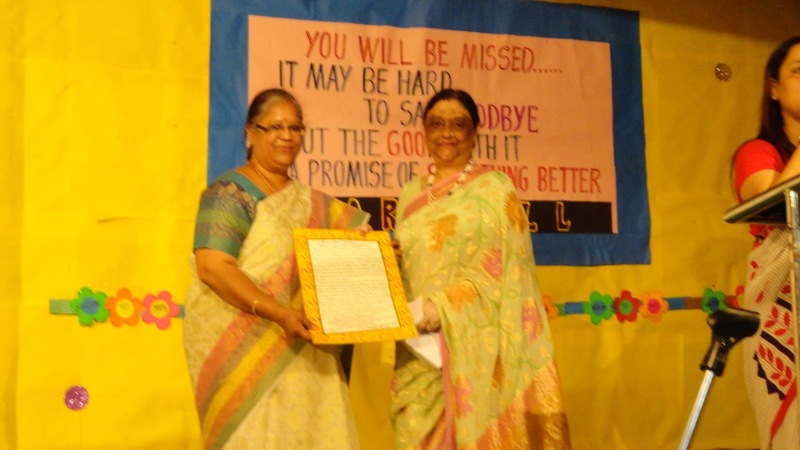 On 29th July, 2016, young Agarsainians gathered in the assembly ground to bid a final adieu to Ms Vandana Jain who completed 28 memorable years of her service in this institution. 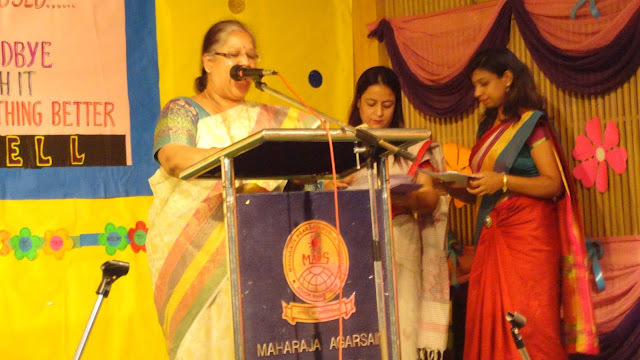 The assembly began with Ms Nisha (HOD English) who spoke a few words about Vandana mam. 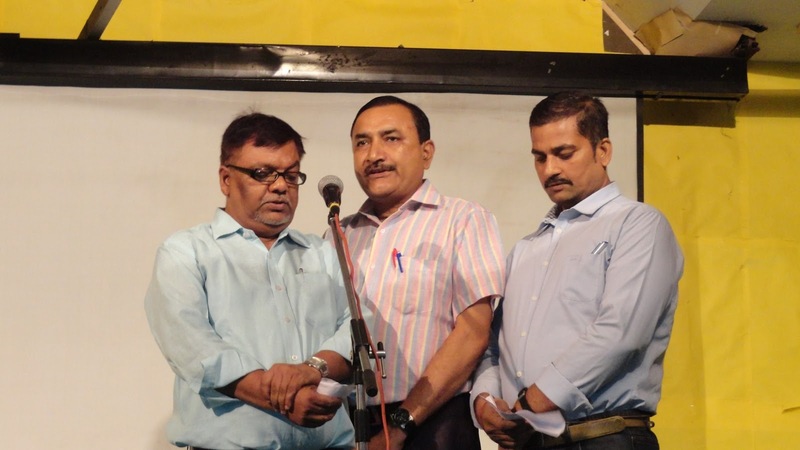 This was proceeded by an enthusiastic interview and a rapid fire which made the aura full and frolic. Then, the students also performed a dance and Vandana Mam danced along the serene tunes enjoying some of her last moments in the school. 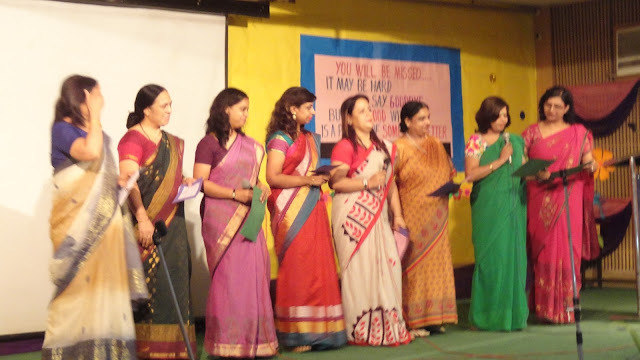 The English department then presented a bouquet and a card to mam and the assembly was finally concluded with Principal mam showering her wishes on behalf of the institution and delivered a speech filled with emotions, experiences and expectations. 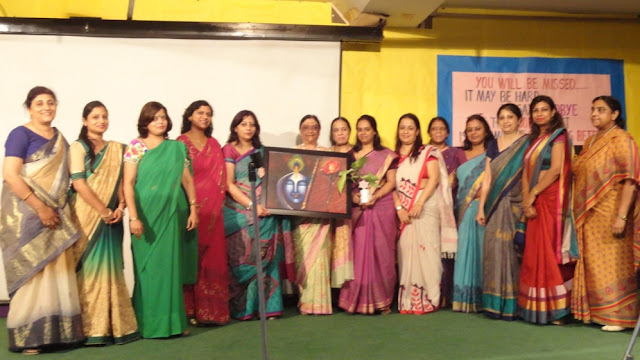 With heart filled with gratitude & love ,the management and staff bid farewell to dear mam on 30th July’2016.To mark this special occasion ,the school organized a special function in the school auditorium. 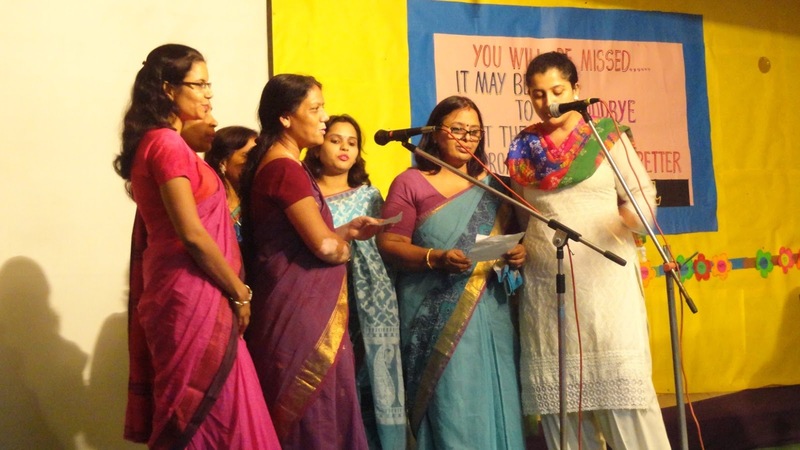 It was an emotional & touching moment as few of the teachers went down the memory lane to tell what they fondly remembered of mam .Even mam’s better half and her family members expressed their excitement and happiness getting mam for full time home now. 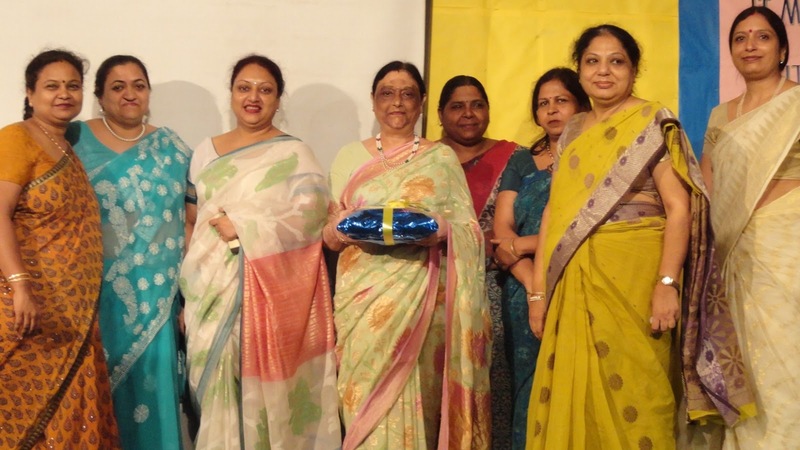 After many spellbound performances,the management honoured mam with gifts as token of appreciation for her dedicated services. 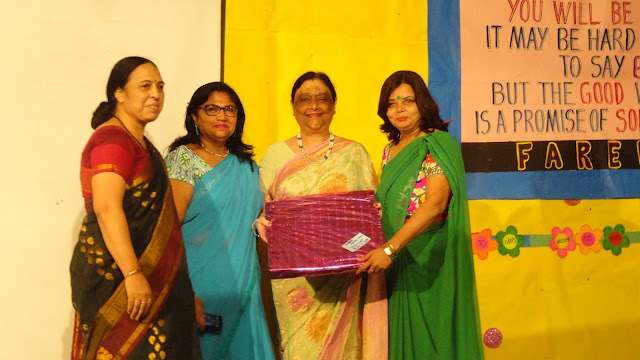 The school Principal expressed her sincere and heartfelt thanks for her selfless service rented to the institution for the past 28 years. This was followed by a sumptuous meal. ’May God Bless you & May you enjoy your retired life’.